Good afternoon, I hope you are enjoying your weekend, it is a perfectly beautiful day here on Martha's Vineyard, wonderful sea breeze blowing, a relief from the hot humid days we have been having. 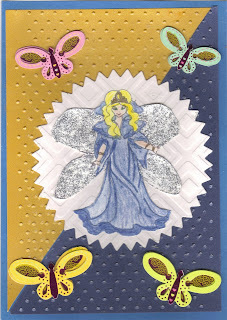 My card today is a fairy princess with 3D butterflies. Colored fairy image (from my stash) with watercolor pencils glittered her wings with silver glitter, mounted her on a nestie fancy circle and added some 3D butterflies from my stash. Hope you have enjoyed your visit and please be sure to leave me a comment, I do appreciate all your comments. Please stop by again when you have the time. I like this Blue Fairy Princess card Judie. Neato butterflies and great coloring. Don't you just love that polka dot folder for the bug? 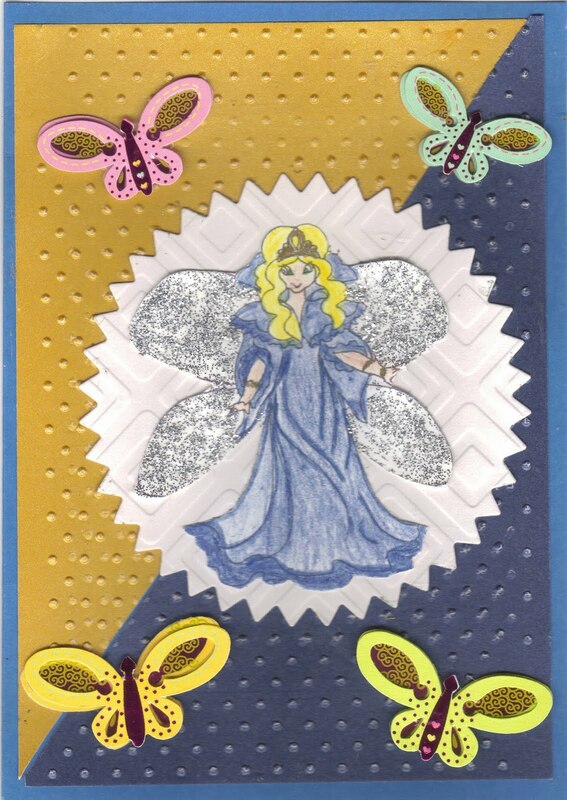 Thanks for playing along with us at the fairy Fun Fridays blog with your card! Love the butterflies!!! Lovely card! Thanks for joining us at Fairy Fun Fridays!